St Lucia is a tropical playground; it is one of the most mountainous islands in the Caribbean making it perfect for all kinds of experiences and outdoor pursuits. From climbing the Pitons to a drive in volcano, sulphur springs, mud baths and trekking through St Lucia’s tropical interior, there are a whole host of active adventures to choose from. Take a leisurely stroll along the Tet Paul Nature Trail. This 45-minute trail offers magnificent views of the southern coast. Admire the Pitons, glorious white sand beaches and on a clear day even Martinique and St Vincent can be seen in the distance. A picnic area makes for the perfect lunch stop and for a bit of culture stop at the traditional house on the trail to learn about how past St Lucian’s lived. Real St. Lucia Tours' Janus says: "If you're looking for the best way to see the Tet Paul Nature Trail, Real St. Lucia Tours is the way to go. With Real St. Lucia Tours, you simply pay the entrance fee and explore the trail with a St. Lucia native who can show you all of the amazing sights along the way. From the breathtaking flora that is native to the island to the majesty of the Piton Mountains, you won't miss a thing and you will get to learn more about the history of this incredible island. The trail offers everything including a hike through a working organic farm, a variety of exotic plants, and some of the best views anywhere in St. Lucia. 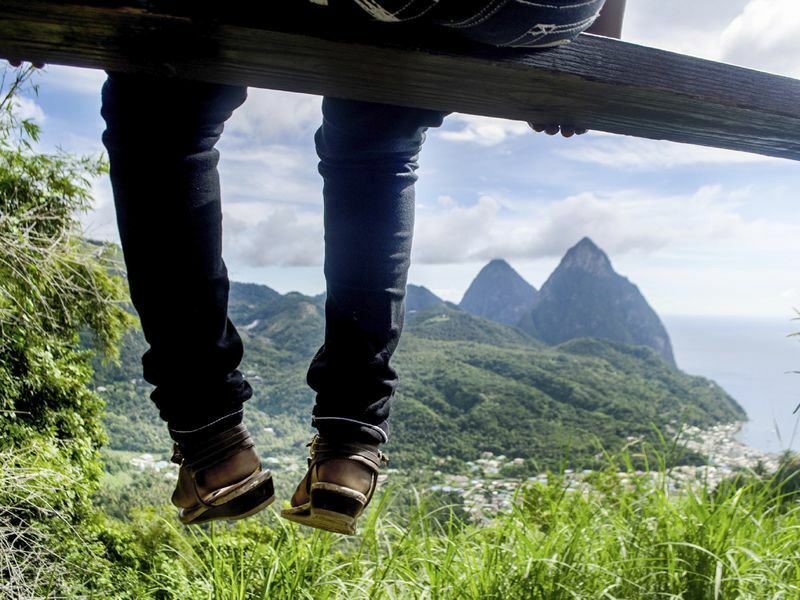 If you are looking for an easy hike that will showcase some of the best that Soufriere and the island have to offer, let Real St. Lucia Tours show you why travellers come to us again and again." Zip-wiring is an adrenaline pumping activity taking place high up in the tree top canopy of the rainforest, experience a rush of exhilaration as you leave the canopy platform and zoom across the tropical treetops. The Treetop Adventure Park has twelve different lines to choose from at 150 feet above the ground, allowing you to reach thrilling speeds of almost 30mph. Trekking in the Edmund Rain Forest Reserve is an awesome experience and a great way to discover St Lucia’s beautiful rainforest. Follow the trails and listen out for the St Lucian parrot. Distant glimpses of the ocean and a fantastic view of Mount Gimie, along with magnificent waterfalls such as the Enbas Saut can all be witnessed on this walk. A side trail leads to Mount Gimie, at 950 metres it is the highest point on the island, although this hike is for the more experienced so check with guides before attempting this one. The waterfall trail is a scenic 2.5-mile hike, worth packing your walking boots for. Once you’ve reached the gorgeous Enbas Saut waterfall cool off with a refreshing dip right under the falls. A totally different way to see the island is on an ATV tour. Convoy on quad bikes through plantations and rainforest, learning about St Lucia’s flora and fauna along the way. Small group tours make this ideal for couples, families and individuals looking for an exciting way to explore the islands diverse landscape. Whizz about on a Segway, this activity is fun and safe for all the family to get involved in. After a practice session, glide along a nature trail system on Mount Pimard while a tour guide tells interesting tales of St Lucian heritage and information on local wildlife. There are plenty of photo opportunities with dramatic views of the coastline and rainforest especially at the highest point. 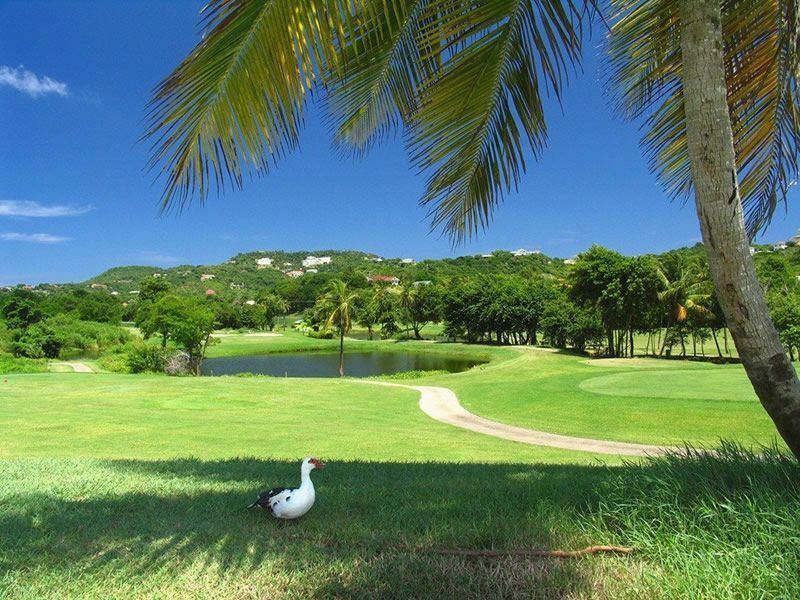 St Lucia’s golf courses are like no other. Two of the popular choices are The Landings at Rodney Bay or St Lucia Golf Club, both are 18-hole courses. Tee off with magnificent ocean views at The Landings or head to the hills of the Cap Estate for a bit of a challenge at St Lucia Golf Club. Both feature well-equipped clubhouses to enjoy a post golf rum punch. There can’t be a better place to go horse riding than along a St Lucian beach and you don’t need to be an expert to take part. Canter along the shoreline with the cooling trade winds and breathtaking views. Trot through shady banana plantations and even ride bare back in the ocean with your noble steed. Hiking to the lookout point on Pigeon Island National Park is a must. Pigeon Island is steeped in history with remains of forts and military buildings dating back to the 1800's. A causeway links the island to the mainland and the lookout offers stunning panoramic views. The island also has two gorgeous beaches to cool off in after you’ve reached the summit. A trip to the Caribbean would not be complete without a dip in the ocean and St Lucia is the place to do it. Snorkelling and scuba diving are both popular holiday activities on the island and it’s not hard to see why. 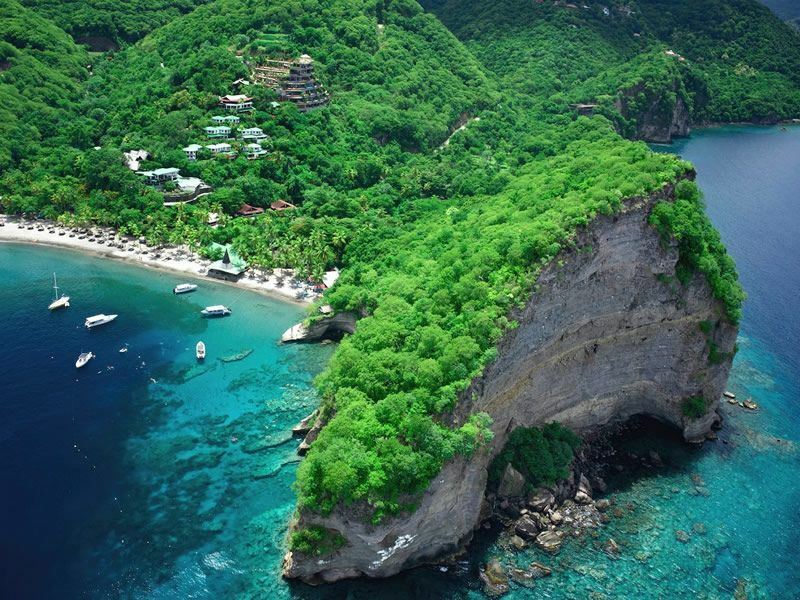 The crystal clear waters and incredible marine life of Anse Chastanet Marine Preserve topped off with the Pitons as the stunning backdrop make this area unforgettable. Colourful corals and tropical fish on reefs at depths ranging from 5 – 25 metres mean you can snorkel or dive straight from the beach. There are plenty of guided snorkel tours and scuba trips to choose from and a dive school right in front of the reef. To complement your active adventure holiday TheBodyHoliday is the answer, it is the ultimate fitness retreat. Daily activities include yoga, Pilates, water sports and tai chi. Along with tennis courts, archery and a state of the art fitness centre, there is no excuse to be bored. Of course you are free to do as much or as little as please, with three pools, beach access and spa there is plenty of time for rest and relaxation. What’s more after all that activity the all-inclusive package includes a daily spa treatment to end the day feeling relaxed and revitalised. Stonefield Estate Villa Resort is a unique place to escape everything. 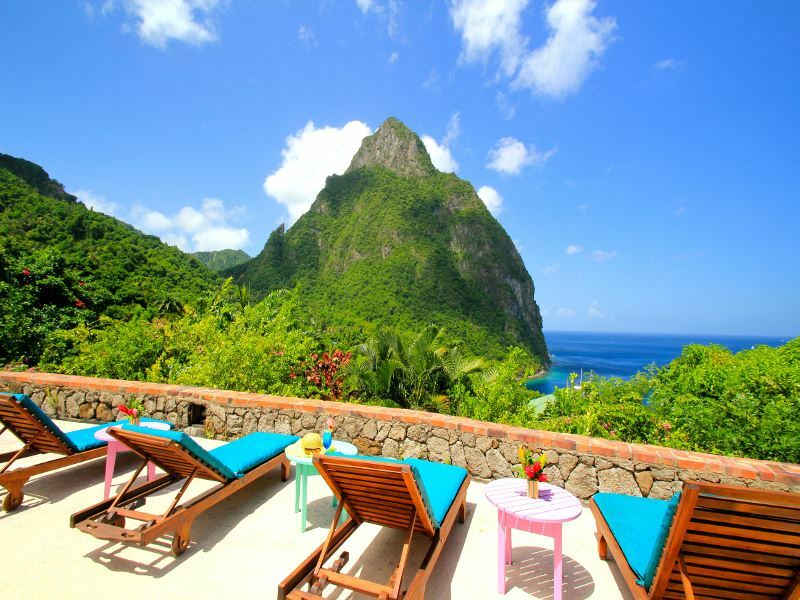 This small resort has only 17 villas, each come with their own private pool and have incredible views of the Pitons, lush greenery or the ocean. Its unparalleled proximity to nature makes it the ideal place to relax and unwind and a great getaway for families. Plus with no TVs or phones in the rooms, there is no choice but to unwind and take in the picturesque surroundings. 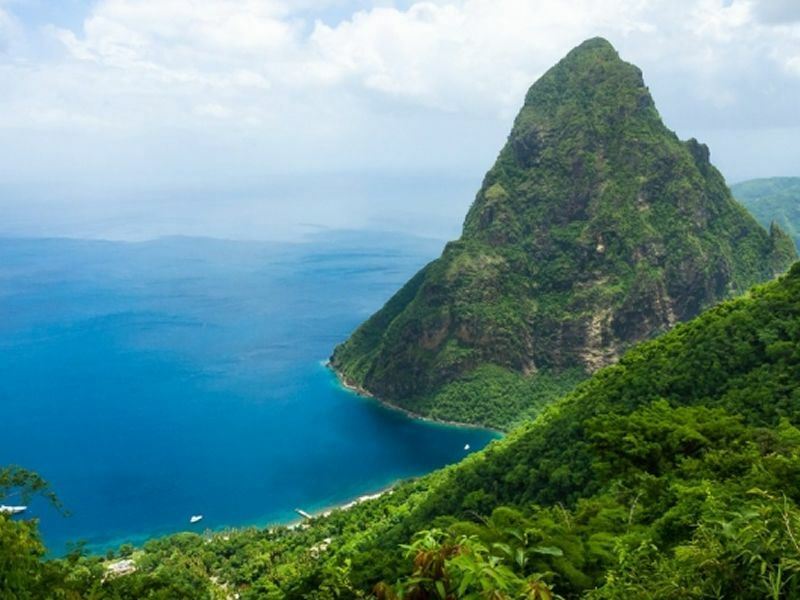 From rainforest, to beach and tropical mountains St Lucia has an activity to suit everyone’s inner adventurer. There is certainly plenty of exploring to be done in paradise.